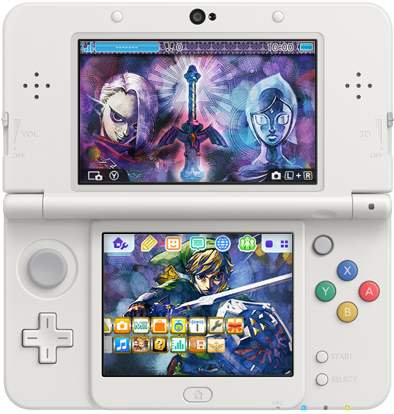 Earlier, we told you about a Halloween-themed The Legend of Zelda 3DS theme hitting the Japanese e-Shop. Now, a Skyward Sword 3DS theme has also been announced for the e-Shop, over on Nintendo of Japan’s YouTube channel. The dramatic-looking theme captures Skyward Sword‘s atmosphere with its dark colours, finishing with gold detailing around the icons and folders. The theme also features an array of familiar characters from the 2011 Wii game. If you live in Japan, the theme will set you back ¥200, and is available to purchase on the Nintendo 3DS e-Shop now. As of yet, there is no word of a Western release. Check out the video above to see the theme in all its glory. What do you think? Let us know in the comments down below.